The full specs of the Nokia 1020 have been leaked ahead of its launch later today. The rumoured 41-megapixel camera appears to have been confirmed, while the leak also details that the phone will have a 4.5-inch AMOLED HD+ display with a resolution of 1280x768. The screen itself will be made of Gorilla Glass 3. Internally, the new Nokia phone will have a 1.5GHz dual-core processor. However, the leak did not say who would be supplying it, but the chances are it will be a Qualcomm SnapDragon in line with past Lumia handsets. There will also be 2GB of RAM and 32GB of internal storage. The Lumia 1020 will also come with 7GB of SkyDrive storage. 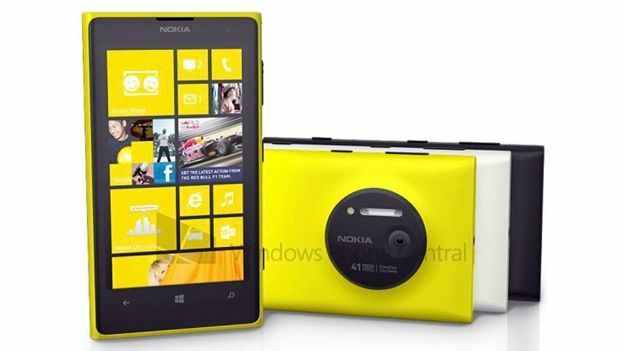 The Nokia Lumia 1020 will be officially unveiled in New York at around 4pm UK time. The leak appears to confirm that along with the 41-megapixel camera, the handset will come with a Xenon flash and the ability to record 1080p video. The rumoured option camera grip turns out to be real too. It includes an extra 1020 mAh battery and has a dedicated shutter button. According to the leaks, the grip even has a standard screw mount, meaning it is possible to use the phone with a tripod. The phone will – unsurprisingly – support both LTE and HSPA+. It will also feature the usual Bluetooth options and NFC support. Buyers will also get free access to Nokia Here maps and Here drive – handy as Google still has not released a version of its app for Windows Phone 8 yet. The phone will ship in yellow, black and white. However, it appears that Nokia has dumped the Cyan colour option offered on the older Lumias.